Duke of Enmore's cauliflower steak. The speed at which Sydney has got hot and heavy for vegetarian and vegan dishes over the past few months, you'd be forgiven for thinking we're entering the Year of Mushroom not the Pig. 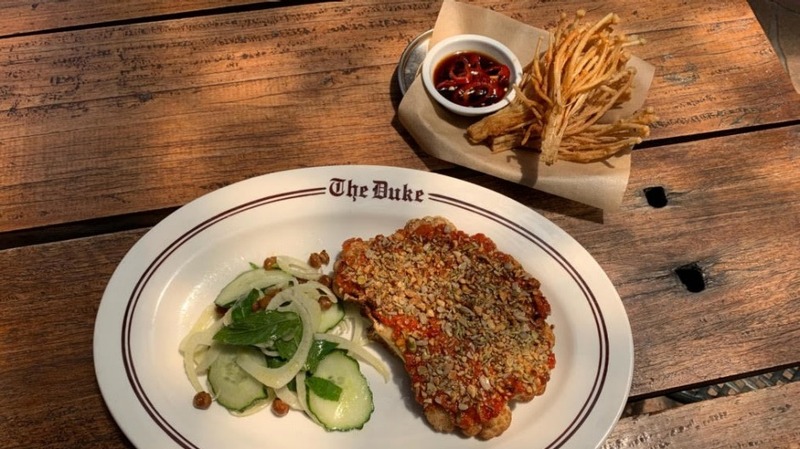 The Duke of Enmore, which swung open its doors over summer, has cauliflower steak and an eggplant parmigiana that show how far Sydney pubs have segued since the days of the six o'clock swill. "People are steering more in that direction," owner James Wirth says. 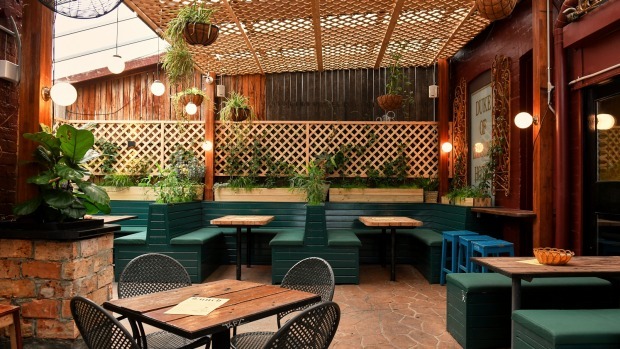 The Duke of Enmore opened over summer. Its vegie-based dishes represent about 40 per cent of food sales. Many of his carnivore clientele are happy to jump on a vegie-based dish, which represent about 40 per cent of food sales. "The cauliflower steak is kind of a steak. We cut the middle out of the cauliflower, steam it first to soften it. But it's fried enoki 'shrooms that have been really big," Wirth says. The Duke isn't marching alone. Bunnings carpark snaggers will need to look over their shoulders because there's a new sausage riding into town. Lord of the Fries got plenty of traction last year with its Beyond Burger, so much so that this month a "revolutionary" plant-based sausage "that looks, cooks and tastes like a conventional snag" hits menus. Even Domino's, the home of the Meatlovers, has unveiled a summer vegan pizza and vegan garlic bread. Neil Perry has also temporarily surrendered to the movement, documenting his meat-less and booze-free February on social media. Open Mon-Thur 11am-12pm; Fri-Sat 11am-2am; Sun 11am-10pm. Duke of Enmore, 148 Enmore Road, Enmore.